Andy Fairweather Low came to fame as the lead singer in Amen Corner, but since then has worked with a whole host of top artists including The Who, Roger Waters, Roy Wood, Albion band, Joe Satriani, Eric Clapton, George Harrison, Bill Wyman and many more. 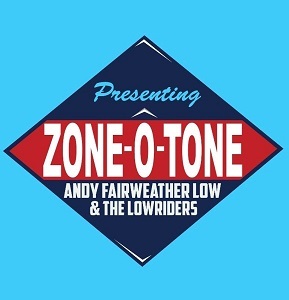 He's just released a new solo album - Zone-O-Tone, which contains songs inspired by the music of Stax and Atlantic soul, Johnny Kidd, Lonnie Donegan, The shadows and more. As you'd expect from a diverse range of influences like that, the album doesnt fall neatly into a single genre, but instead provides a range of different styles, with the common factor being that feel of nostalgia. After it's brass band intro, "Mother earth" has a sound very reminscent of Eric Clapton, and his hit "Tears in heaven" in particular. The brass instruments in "La la music" help give it a soul feel. There really is a lot of variety here, and while that can sometimes lead to an album feeling like it's lacking direction, with this album it does work really well - all the songs have a retro sound, and that despite the differing styles is enough to tie the songs together. The vocals and music are great. This album is one where I wasn't sure what to expect when I first hit play, but it's delivered in style. An excellent album that is highly recommended. 13th The Centenary Centre, Peel, I.O.M.